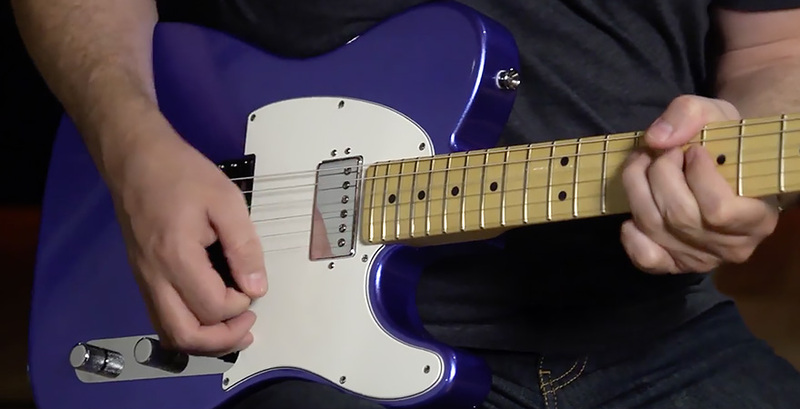 For the high-output guitarist who wants more power from a Tele®, the flagship American Standard guitar lineup rocks extra hard with the distinctively formidable American Standard Telecaster HH. 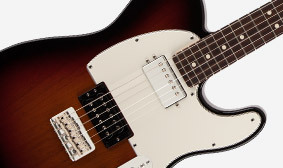 Instead of using the traditional design with two single-coil pickups, this guitar hot-rods the time-honored American Standard Telecaster with a pair of Twin Head Vintage humbucking pickups that deliver enormous full-bodied sound. Two great tonewoods long used by Fender for the majority of its electric guitar bodies. Alder is noted for bright, balanced and resonant tone with pronounced upper midrange, excellent sustain and sharp attack. Strong and more dense, ash is used for select American Standard finishes and is notably resonant and sweet sounding, with clearly chiming highs, defined midrange and strong low end. 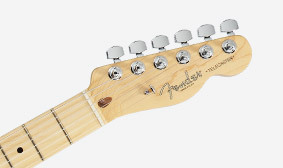 This American Standard instrument features a modern neck designed for comfort and performance, with a contemporary "C"-shaped profile and a smooth satin-finish back. The fingerboard features a modern 9.5" radius, with comfortably rolled edges for instantly "broken in" feel and medium jumbo frets. 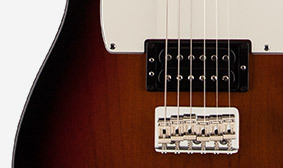 For superior intonation, sustain and ease of adjustment, American Standard guitars feature modern bridges with upgraded features. 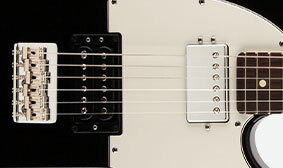 This hard-tail Telecaster HH bridge has a string-through-body design with bent steel saddles. This American Standard HH is a distinctively hot-rodded take on a timeless classic, exchanging traditional single-coil pickups for a pair of Twin Head Vintage humbucking pickups that deliver enormous full-bodied sound. This finish offers the superior look and durability of polyurethane, applied to a thinner undercoat that lets the instrument’s body wood flex, breathe and resonate more freely for a more unconstrained and natural-sounding voice. 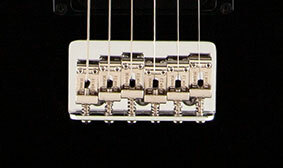 Staggered tuners present tuning posts of differing heights that increase the break angle of the strings over the nut. On American Standard guitars, the D, G, B, and high E string tuning posts are set lower than the A and low-E strings, creating a greater string angle that improves performance and helps eliminate buzz.